Google has been hard at work, rolling out new, sleeker looks for all of its products, and Google search has been no exception. In fact, Google is currently testing an even less cluttered look for its search engine, and up until now you couldn’t try it out for yourself. Google Operating System has discovered a way, via TechnoNet, to get that uncluttered look right now, with a simple change of a cookie setting. 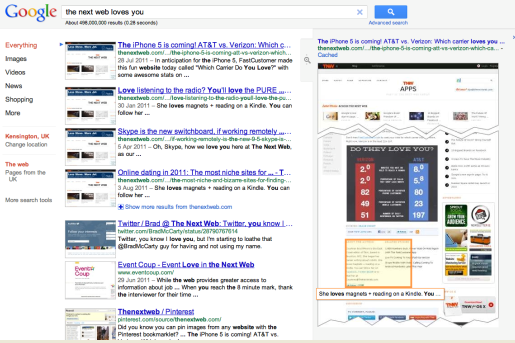 Load the Google homepage, and click the new cookie icon in your toolbar. Click Set as read only, so it changes to protected, and once you’re done, click submit cookie changes. Select Edit site preferences, Cookies, and then edit the item that starts with NID. If you don’t like the new look and want to revert to how it looked before, simply remove the NID key or delete its value, and it will automatically re-set itself. The same goes for if Google changes the NID value and you don’t get to try the new look for too long. So get it while you can!